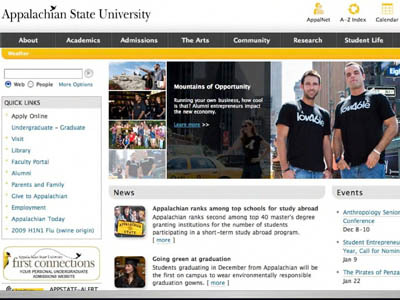 Appalachian State is a higher education community rich with qualitative social science activities. As a mid-size comprehensive university located in the rural mountainous region of western North Carolina in the United States, Appalachian serves as a regional site for trans-disciplinary qualitative research projects in social work, ecology, psychology, anthropology, education, art, Appalachian and rural studies, philosophy, gender studies, communication and the humanities more broadly. Appalachian State University is host to the Qualitative Research Roundtable (QRR). Held bi-annually, the QRR brings together students, faculty and staff typically representing approximately 30 different disciplines to learn more about qualitative research in its myriad forms. Attendees can expect to hear from colleagues about ongoing and completed projects, and informally discuss the various challenges and celebrations germane to specific projects and to the field of qualitative research more generally.